old, such as stepping on a crack will break your mother's back, walking under a ladder will bring horrible luck, or that the number 13 has some evil connotation. 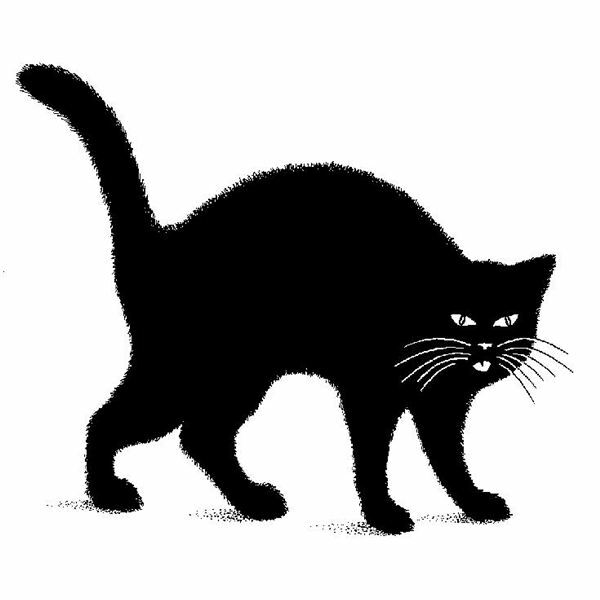 Society, as a whole, has come to the conclusion there are no consequences for petting a black cat or opening that umbrella in the house. But not everybody is convinced. If they have had the experience of negative circumstances in their life, let's say on Friday the 13th, they may still hold on to the idea that this unique date brings bad luck. Most hotels don't provide room number 13 among their floors due to the possibility a few patrons could be squeamish about that number. Other places around the world hold their own superstitions and fears about bad spirits if various activities are or are not in the daily routine to protect them from the negative. A few rituals may include avoiding an object or situation, having to recite prayers or chants to exclude the evil spirits or events from their lives. Superstitions and tales of evil occurrences work their way through generations, breathing new life into each younger wave of people. With new technology, ways of educating one's self has become easier. Once we learn about the world around us, the fear tends to subside a bit more, lending hand to each tale's demise. For the countries that don't have access to newer technology or for people of the region that are older in age, the lessons taught long ago to their generation probably still hold true for them. Superstitions are fear based tales that can be squashed through thought processes, learning where the fear comes from and knowing that the tale of one bad experience or occurrence doesn't mean it will exist through time for others that repeat the same action. Most superstitions are the result of people being a product of their environment. If the fear exists and is passed down through generations, then the truth is self evident, right? Do the old wives tales passed through our culture contain some truth? Many beliefs have been quashed through the learning process. As technology and availability of information grows stronger, we learn that the old tales from our ancestors hold little truth or consequences. 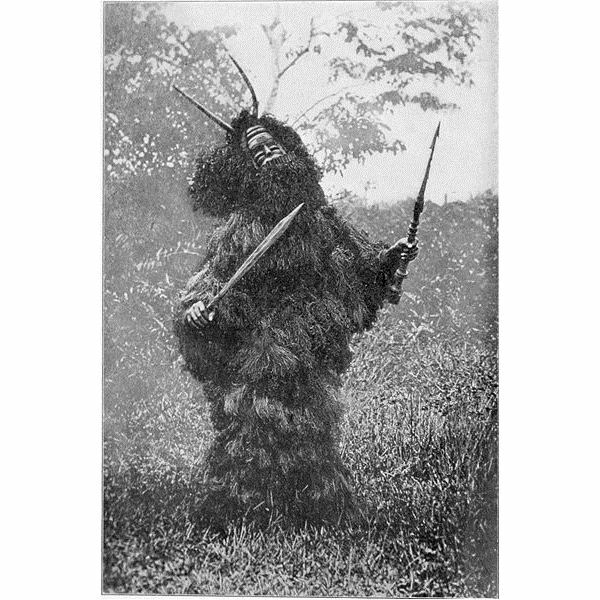 practices of witchcraft, voodoo, juju and marabou, brought about through old traditions and culture and the practicing native spiritual mediums of the area. Superstitious beliefs and fears run so strongly that the simplest things, such as a spot on the road that has caused an accident, will send many scrambling to slaughter sheep and goats to keep the evil ghosts and spirits away. This type of “protective" activity will hold up any type of road construction or repair for many years, leaving the problem to create new accidents to feed into the fear of the area being under attack of more evil spirits. The problems are deeply rooted in the West African culture, so much so that it’s at a point where the Minister of Environment and Science, Professor Kasim Kasanga of Ghana at one point claimed that the superstitious beliefs and rituals had become the largest obstacle facing Ghana and the West African region. An obsession with the dead from superstitions embedded in the cultural lifestyles of the peoples of West Africa have led them to the act of spending more money and time on the peaceful resting of the deceased to rid the living of angry spirits, rather than spend the same money, time and effort on enhancing the area around them to halt the accidents. In more recent years, a larger number of spiritual churches have sprung up across the region, lending hand to the already alarming number of those who live their lives in fear. The churches host a mix of juju and native spiritual beliefs along with Christian values that has given an increasingly negative superstitious belief system that is completely blinding West Africans from reality. The richer folks and the media of the area are currently working to create a belief system that is far less fear-based. Because of the changes that are hopefully going to make a difference, Nigerian broadcasters are banned from showing any type of miracle on television that has not been proven as fact or can be believed as an actual miracle. This is but one tiny step in the removal of decades of fear that residents of the region have been living under. The blame has been placed on the juju and witchcraft practices in the region. The new differences the broadcasting industry attempts to create are also being met with lawsuits to halt the miracles shown on local stations. Throughout Africa, especially in the West African region, the majority of residents believe wholeheartedly in witchcraft. Witches are seen as entities that roam the area, having an amazing effect on farming, poverty, disease, accidents, business failures, famine, earthquakes and other events in life. Sorcery is the answer to anything unexplainable, such as an accident or destruction that falls out of the ordinary realm of explainable truths. Positive and negative witchcraft exists among the people of West Africa, having complete control over their lives. Suspected sorcerers live among the nocturnal animal kingdom, especially birds. Owls are associated with witches and the craft, in places such as Gambia or Senegal. The operations of witches are mainly seen at night, organizing meetings over the seas, oceans and forests where they feast on humans for their blood and flesh. The sorcerers meet to plan evil doings and design plans to do harm on humans, especially those that exist in their own family. Due to this, many accusations fly in family units. The blame is placed on fathers, mothers and husbands, wives and even children when misfortune might land on the doorstep of a family member. Ongoing killings of family members, especially women and children, exist in the region still today, with the belief that the ones killed are witches. Based on a dream of being strangled by a neighbor, a woman in Samata created a mob of people to attack the Ghana woman who was in her dream. She trusted the dream was an omen that the woman was a witch and she was being plotted against. Several other cases have the same basic plot behind them — the person must be a witch and therefore had to be dealt with. All of these killings are not something of historical times, but of current years such as 2004 when a Nigerian killing of 27 men and women took place due to the belief they were witches and warlocks. They were forced to drink a mixture that was expected to detect witches. All of them died, leaving the superstition that witches do die of the mixed drink. The superstitious beliefs of the area solely exist due to the fear that is behind the unknown. If something happens to a family member, is it because of the evil spirits, witches and Voodoo or is it because the person might have caught a regular illness that went untreated simply because it was believed that the illness was the cause of a fear based belief it was deserved? It continues on and on through the years. The story of the person that dies of the disease or illness is merely a matter of uneducated fear, however will probably be told to generations to come, increasing the fear and the abundance of West African superstitions of the future people. Administration Members, International Humanist and Ethical Union, "Statement on Witchcraft in Africa,"
Akosah-Sarpong, Kofi, Ghana Web, "The Trial of Irrationality in West Africa"
Bastian, Misty L., Franklin and Marshall College, "The Demon Superstition: Abominable Twins and Mission Culture in Onitsha History"